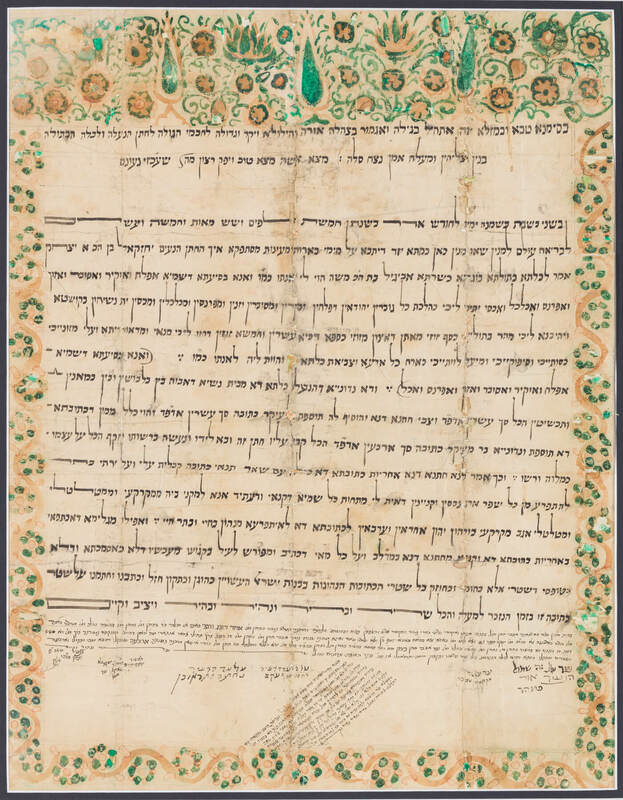 KETUBAH – YAZD, IRAN, 1860. On paper. Painted with colorful illuminations. 16” x 20.5”.